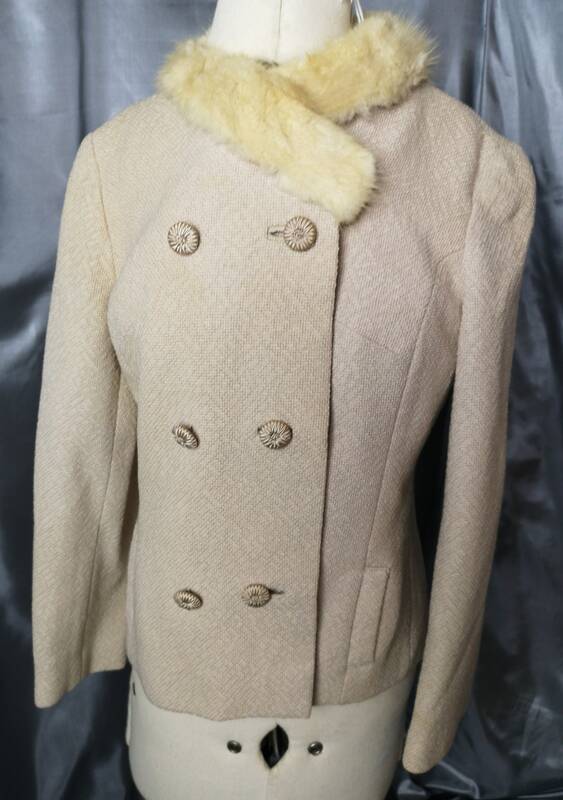 This worsted wool and mink number by Felisco just screams 50's. 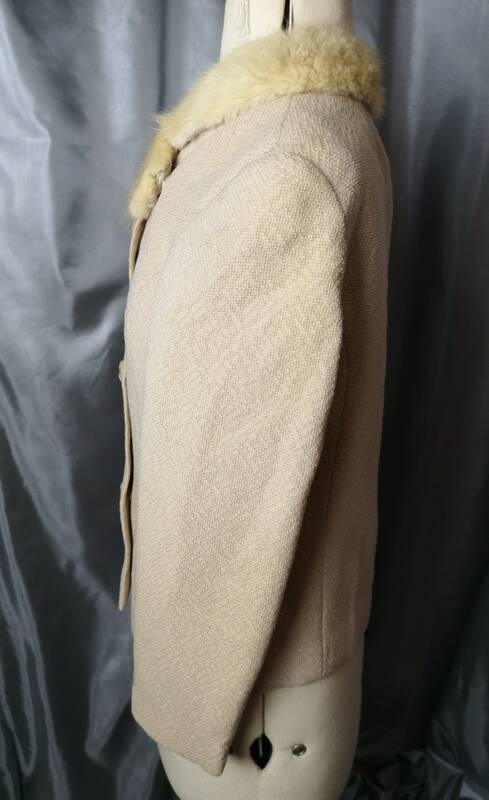 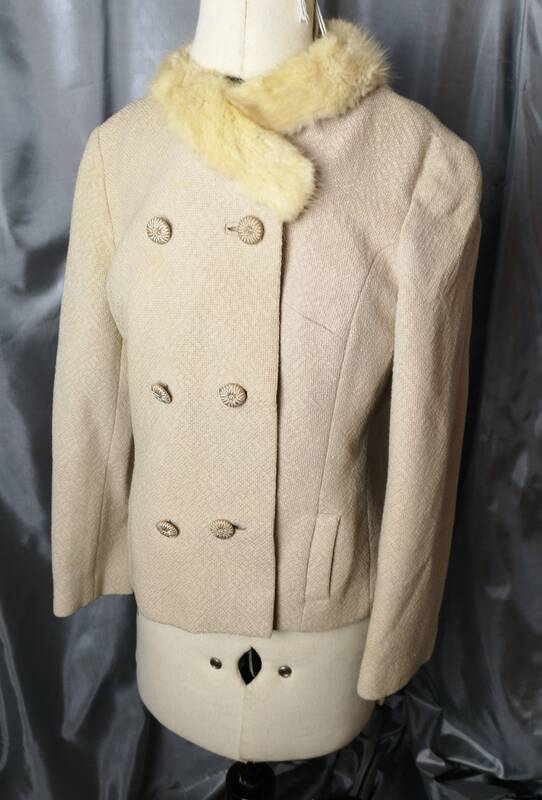 Beige chunky worsted wool with a cream mink collar and large wool covered buttons. 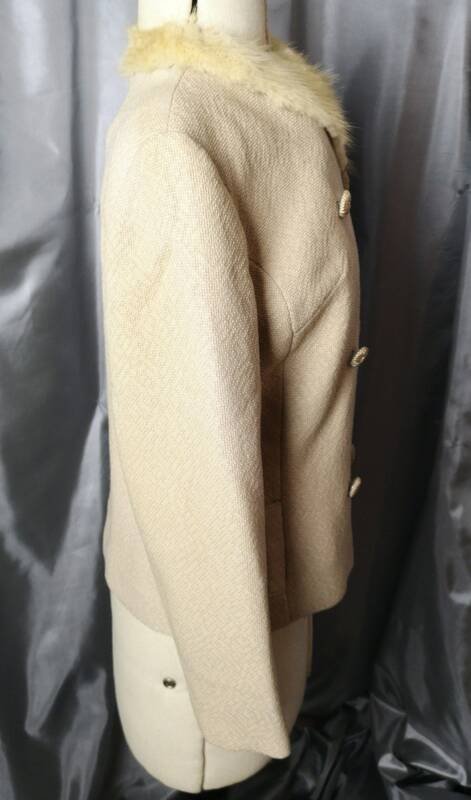 It is fitted and the collar is removable for dry cleaning, satin lined. 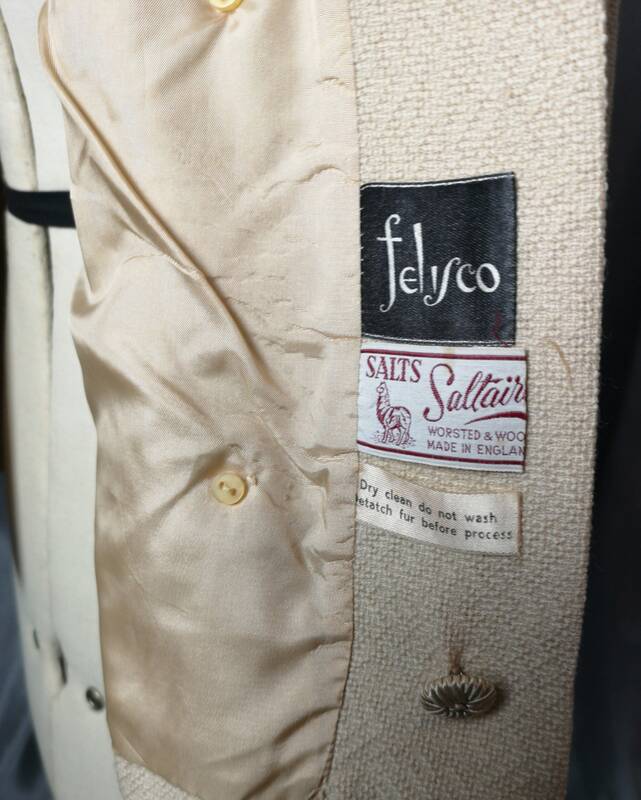 Very well made, all original labels. 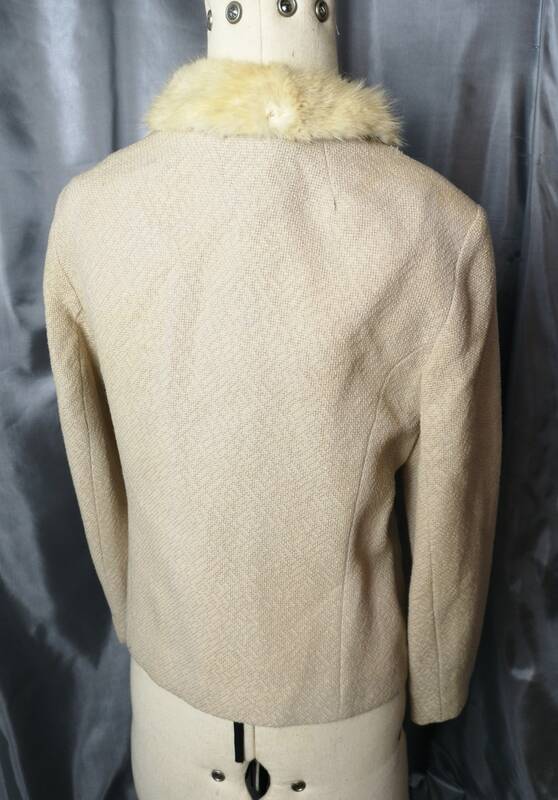 It does have some marks a darker shade of its original colour and the mink shows some discolouration. 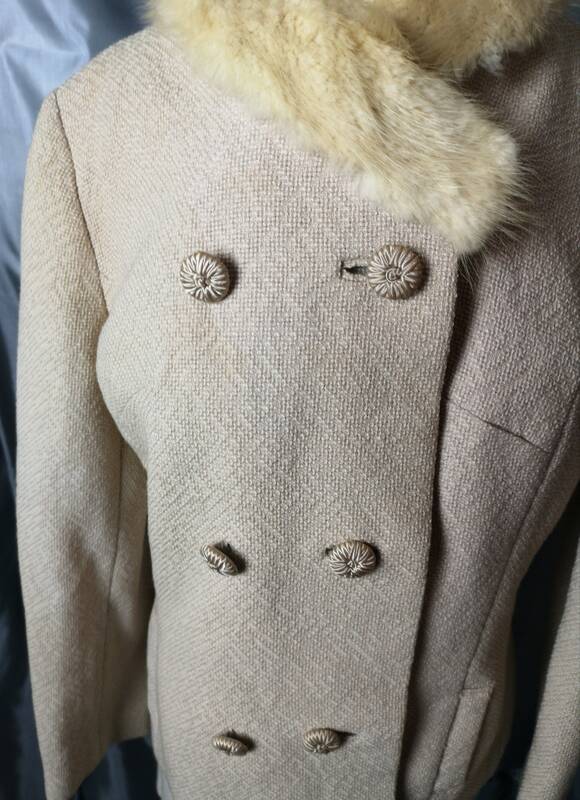 It may clean up nicely but has not been cleaned by us so I'm unsure, price reflects the condition.